I’m excited to deliver the next installment of the “No Brainer Things to Toss Series” to you today! 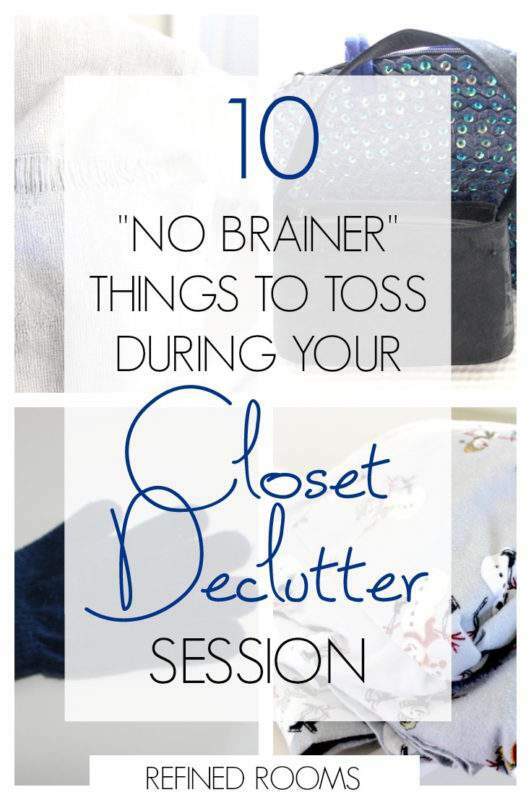 Since closets are the focus this month in the Organize & Refine Your Home Challenge, I’ve compiled a list of 10 “No Brainers” that you can immediately place into the “toss” pile during your closet declutter sessions. I gathered my inspiration from taking a tour of my own closets this past week. We started out the season with five pairs of matching gloves. We ended the season with one intact pair and four “orphans”. So Sad. 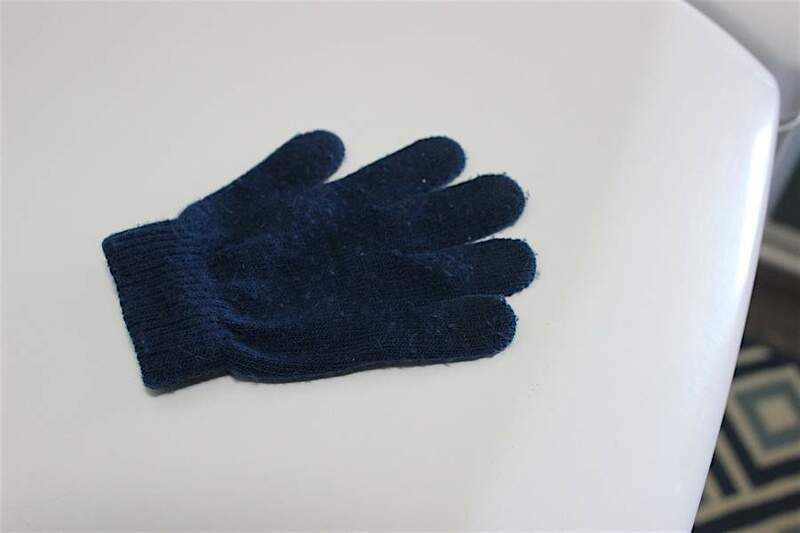 Before tossing your orphans, do a quick sweep of winter coat pockets to see if you might be able to reunite a few pairs. So that's my list, and I'm stickin' to it! What items will you be tossing from the list? What else would you add? Share with the rest of us one of the items in your closet declutter toss pile! 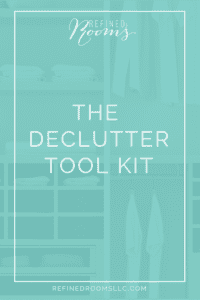 Need a little more help with decluttering & organizing your closets? Such a great list. I’m guilty of holding on to more than a few of these things and now I’m off to gather up some of them now 😉 Thank you for sharing with us at Funtastic Friday! I did a closet clean-out last season. I didn’t find any stranded gloves, but I did find a lot of things I forgot I had! It was fun. Yes, it is amazing what you’ll uncover each season, right?